U.S. writer Susan Orlean's book tells the story of one of the biggest canine stars of all time. The first Rin Tin Tin was plucked from the battlefields of Europe during the First World War and became a star of silent films. Stories of the heroic dog became a staple of American entertainment and endured well beyond the lifespan of that one dog – through the talkies and into the 1950s with The Adventures of Rin Tin Tin, a very popular TV series. 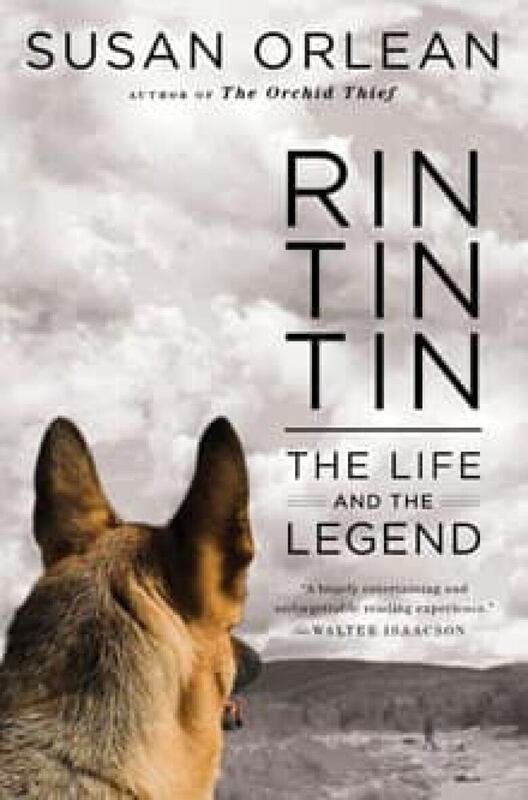 Rin Tin Tin: The Life and the Legend is born of Susan Orlean's fascination with the dog celebrity Rin Tin Tin. (Simon and Schuster/Associated Press)As a little girl, Susan Orlean wanted a dog like Rin Tin Tin. A writer for The New Yorker and author of The Orchid Thief, which was made into the Oscar-winning film Adaptation, she revisits the story of the first movie dog and his many successors in her latest book. Rin Tin Tin: The Life and the Legend looks at how a soldier from California found the original Rin Tin Tin and made him a star and how the dog became the one of the biggest box office draws of the 1920s. In an interview with Jim Brown, guest host of CBC’s Q cultural affairs show, Orlean discusses the legacy of this most famous of dogs.